BASKETBALL SPOTLIGHT NEWS: Basketball Spotlight Tip Off Classic 7th Grade White Division Championship Recap: Team RIO Is For Real! 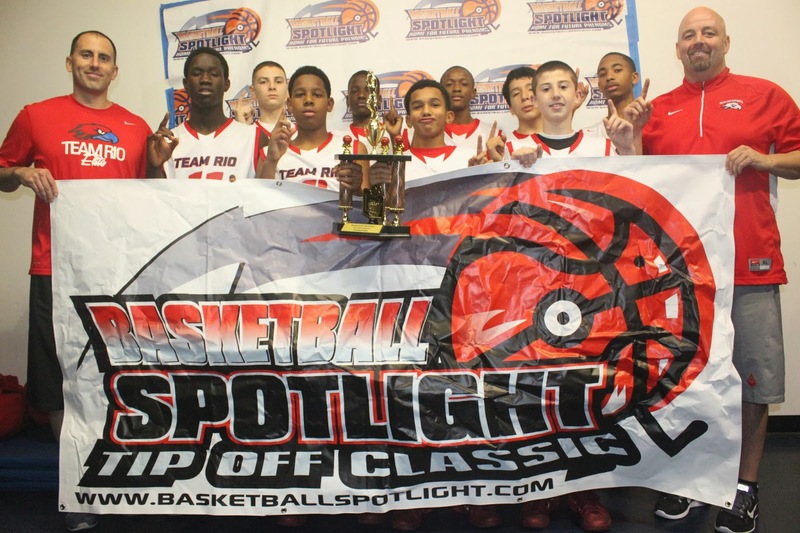 Basketball Spotlight Tip Off Classic 7th Grade White Division Championship Recap: Team RIO Is For Real! Team RIO National lived up to the preseason hype by winning the Basketball Spotlight Tip Off Classic 7th Grade White Division championship over Team Takeover 40-33. The win pushes Team RIO to the front of the pack in the 7th Grade race to the Grand Finale. Congrats to Team RIO and we wish them luck the rest of the way.